I thought this not because it is bad, but because of the manner in which it is bad. I forget what scene it was that triggered my association to last year’s picture, but, despite the very different subject matter, these two films have a similar feel — that feel of a story not coming together. It’s as if Russell read a manual on how to put together a movie, and said, OK, let’s add this piece to this piece, and throw in some 70’s fashion and music, let good actors do their job and we’ll have a good movie. With a Tomatoemeter score of 94%, it has succeeded where it wanted to. To me, it felt like four great films — Scorsese’s Raging Bull, Goodfellas, and Casino, and P.T. Anderson’s fabulous Boogie Nights, blended together and spit out the other end, resulting in a film just under half the quality of any of one of those. After stumbling out of the starting block, American Hustle finally got to a point where I was enjoying a couple scenes, but faltered again down the stretch. I walked out thinking what a non-story, really, what a non-movie that was. As to the critical acclaim? Critics think the acting was stellar here. Christian Bale gained a lot of weight for the role, even the more impressive remembering his weight loss for The Machinist. But something about his character, and to some extent, those of Bradley Cooper and Amy Adams, somehow didn’t ring true to me. Hard to put my finger on it, but perhaps it was the context of the poorly executed film. The performances seemed as arbitrary as the plot elements. Also arbitrary: otherwise fitting 70’s-era popular music. These are all great tracks, but except for the disco scene (Donna Summer’s “I Feel Love”), the songs seemed completely disconnected from anything happening in the picture. They were thrown in in the same dishonest way that Silver Linings was marketed with a song that did not appear in the movie. That brings me to the other reason critics liked this film — they were taken by the vintage fashion, music, culture, and historical context of Abscam. To me it’s a big snow job. 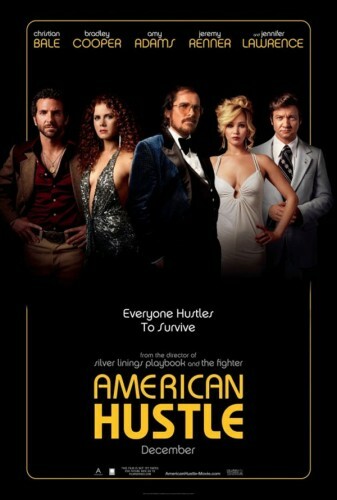 American Hustle is a simpleton’s movie. It’s a good movie for people who are blinded by the facade. THE INDIE COMEDY Nebraska is a simple story about an old man on a quest. It immediately brings to mind David Lynch’s The Straight Story. But while the Lynch film succeeded on multiple levels, Nebraska seemed a bit worn, like an extended sitcom sketch. And it was a little laggy and repetitive; I think at times it was reaching for the kind a philosophical depth that came easily to the Lynch feature. I have to believe filming in black & white was also part of this strategy, and these attempts seem a bit forced. The film mostly fails to achieve that extra dimension it desires. 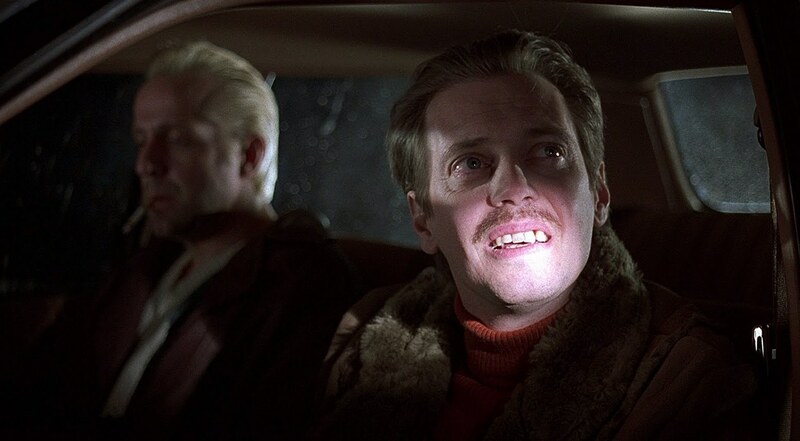 Films like “Fargo” are why I love the movies. You betcha! Me too. Fargo is a masterpiece of the highest order. 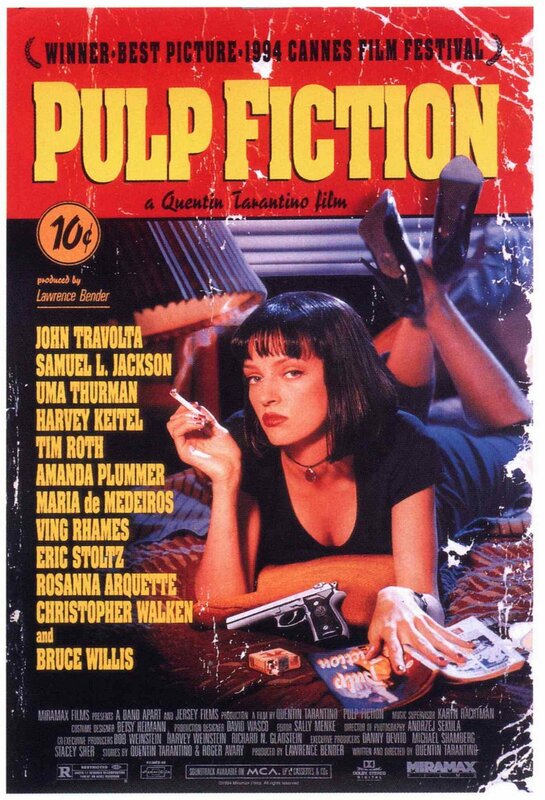 I was thinking about Pulp Fiction and Fargo, and connected it to an idea that I’ve had for a long time: there is no single greatest film of all time. 2001 is not a greater film than A Clockwork Orange, or Pulp Fiction, or Fargo. These films have an equality of greatness which promises a viewing experience beyond that of lesser cinema. Fargo is the reason movies exist. I saw a blog post a ways back about the top 10 Coen brothers’ films, which went out of its way to diss Fargo as overrated and not worthy of the Coen ‘top 10’ list. Sometimes I don’t know what people are thinking. It is easily the best Coen brothers film (though I have not seen them all), readily surpassing the great No Country for Old Men, as well as almost every other picture ever made. I unfortunately skipped Fargo during its theatrical release because the ‘homespun’ poster turned me off. If you haven’t yet, see this one as soon as possible, uncut and in HD — it’s a perfect winter’s tale. I’d like to include a trailer or clip, but could not find one that does it justice. Pulp Fiction is one of the greatest pictures of all time, a masterpiece, and on a personal note there is no other film that I treasure more dearly. It has been added to the National Film Registry for 2013. I thought at first that this is maybe 10 years late, but I reckon more time allows one to realize it was not just a flash in the pan or a trendy choice. Pulp Fiction is a classic which will endure for all time. Also among those added: the essential documentary Roger & Me, the delightful Mary Poppins, The Magnificent Seven, and one of my favorite films from high school days, The Right Stuff. I finally got round to watching a Harmony Korine movie, wanting to know what all the fuss is about — there are bloggers out there who gush over him (yes, him — Harmony is a man). And I must say, he’s got an idea. I immediately think of the low-budget movie I recently watched, Primer — there the filmmakers were lost at sea, really clueless as how to tell a story. Korine by contrast knows what he’s doing behind the lens. Spring Breakers (2012) is an in-your-face portrayal of, well, spring breakers, in this case the Florida variety, that features an authentic depiction of the celebrating milieu. But it’s clear enough that this is a fiction film, as we follow a group of four girls who want desperately to escape school and join their peers, but haven’t quite got the funds. No worry, they are motivated enough to rather easily clear this barrier. I WAS HAPPY to see that the best movie so far this year, 12 Years a Slave, was tied with American Hustle for the most Golden Globe nominations announced yesterday. I do find it odd the way the Golden Globes divide “musical or comedy” from “drama” — it seems a fine line to place American Hustle, Her, Inside Llewyn Davis, Nebraska and The Wolf of Wall Street in the “musical or comedy” category. I haven’t seen any of those five nominees (it’s remarkable how they bunch the releases of 90 percent of contenders at the very end of the year), but I have seen the trailers — and from what I can tell they are all dramas with varying degrees of comic elements. Somehow this distinction has always made sense in the past, but this year it seems particularly arbitrary. I suppose that’s not as bad as handing out ten nominations for Best Picture as the Academy suddenly started doing, motivated purely by money. This is a strong group of competitors, and as we’ve seen in the past, success at the Globes doesn’t necessarily translate into Oscar gold. Nonetheless, I am happy that so far the exceptionally powerful and extraordinary film 12 Years a Slave is receiving its due. THERE’S PRETTY MUCH NO REASON for Out of the Furnace, unless you’re interested in seeing Woody Harrelson in an even more evil role than Rampart. It’s got a giant, very talented cast — besides Harrelson, there’s Christian Bale, Casey Affleck, Willem Dafoe, and Forest Whitaker. I really liked Affleck, who’s turning out to be someone like Mark Wahlberg or Ryan Gosling as someone who’s always compelling on screen.